Night photography can be much more rewarding than photography during the day. Because everything looks different at night, you don’t need to go somewhere exotic to get great pictures. The main challenge when photographing at night is getting a proper exposure. During the day, you can just walk around and hand hold your camera without worrying about camera shake. Further, you can take your time when photographing at night, more so than during the day. There are generally fewer people out, and you don’t have to worry about the light changing. During the night walk, we will click pol street Manek Chowk night food market. 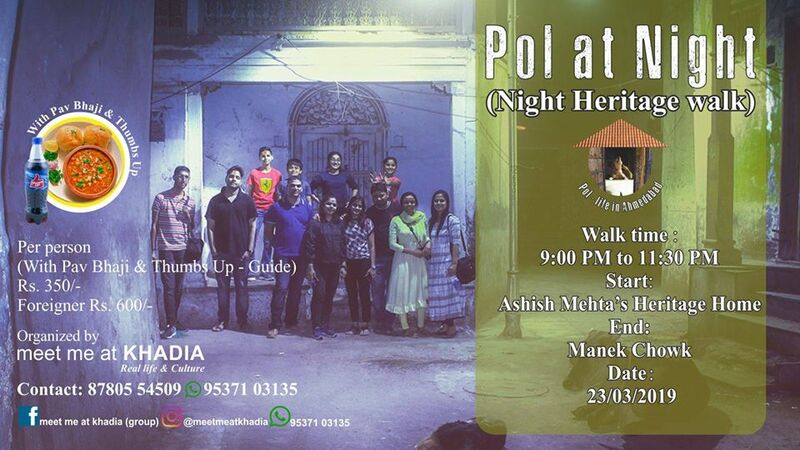 Ashish Mehta runs food and heritage walk in old city Ahmedabad. He has been interested in drawing and painting from his childhood days, he says that photography is similar to painting and drawing as these require similar levels of imagination and an eye to bringing out the beauty of this world. Ashish is a self-taught photographer and his main areas of interest in this field Street photography. This talented photographer is guided during the night walk.